Zero-tolerance policies are generally stupid, because they are rarely written with enough care to ensure justice is done and injustice is not. If you’re going to institute a sloppy policy, you had better not make enforce it punctiliously. When you do, you get asinine situations like the 17-year-old North Carolina girl who has been expelled from school because she accidentally brought a paring knife to school in her lunch box. But that’s not the bad part. The really bad part is the school’s officials are lying to justify their decision. The appeals court claimed that Ohio’s law, which allows individuals to own guns, was not “comprehensive” precisely because it left a “great deal of firearm activity unregulated.” In other words, the appeals court argued that a state law was comprehensive, and therefore binding on local governments, only to the extent that it restricted individuals. Conversely, a law that protects individual liberty is not binding on local governments. This would be a very dangerous principle, in practice and theory. The practical consequence is obvious: every person would be subject to the maximum restriction attempted by any government. But the idea behind it is perhaps even more troubling: it says no government scheme is complete unless it is telling people what they can and cannot do. This is not an American idea. I’m glad it was struck down. Only days after it was removed from the Palestinian Authority’s Ministry of Information website, a “study” denying Jews’ rights to the Western Wall has resurfaced, this time on the official website of the PA’s news agency, Wafa. By publishing the document on Wafa’s website, the official mouthpiece of the PLO and the PA, the authority has sent a message that its has officially endorsed its findings. The “study,” which had sparked strong condemnations from Israel and the US, was written by Al-Mutawakel Taha, a senior official with the Ministry of Information in Ramallah. The five-page document claims that the Western Wall, which it refers to as the Al-Buraq Wall, is an integral part of the Al-Aqsa Mosque and has always belonged to Muslims. It states that Muslim “tolerance” had allowed Jews to stand in front of it and cry over its destruction. “This wall was never part of the socalled Temple Mount,” Taha wrote in his project. “The wall is the property of Muslims and there never was a stone in it that dated back to the era of King Solomon. Jewish faith has no connection to this wall.” The document accused “Zionist occupation of falsely and unrightfully” claiming ownership of the Western Wall. How long would that “tolerance” last, I wonder, if the Palestinian Authority had the power actually to do something about it? The end-of-life planning provision is back. It was deleted from the health care nationalization bill over concerns that the elderly would be pressured into consenting to end their lives, but now it’s back, as part of the regulations being written by the Obama administration. After learning of the administration’s decision, Mr. Blumenauer’s [D-OR, the provision’s original author] office celebrated “a quiet victory,” but urged supporters not to crow about it. “While we are very happy with the result, we won’t be shouting it from the rooftops because we aren’t out of the woods yet,” Mr. Blumenauer’s office said in an e-mail in early November to people working with him on the issue. . .
New York union botched blizzard deliberately? This would be a delicious story, and I hate to pour cold water on it, but I’m skeptical. This sort of thing is done all the time in Europe — screw the public to show your union’s power — but it’s always done openly. Doing it in secret doesn’t make a lot of sense to me. What would it accomplish? After the Gaza War, when Israel’s diplomatic enemies were accusing Israel of massacres and such, the IDF released figures saying that it killed 709 known combatants, 295 known civilians, and 162 unknown (mostly fighting-age men). Palestinians, predictably, claimed that only a negligible number of the deaths (48) were combatants. But those claims led to a backlash against Hamas from its own people, since the figures implied that its fighters remained safe while allowing civilians to be killed. Now Hamas admits that Israel’s numbers were accurate, that the IDF killed 600-700 Hamas combatants. An Illinois union sends people to harass an executive at his home. The local NBC affiliate calls it caroling. Sometimes unintended consequences are also entirely predictable consequences. The credit card “reform” act is drying up credit for poor credit risks, which is forcing them to payday lenders. Nice job, Democrats. Once again, you’ve screwed the people you professed to be trying to help. As bad as credit card interest rates are, payday lending rates are an order of magnitude worse. By the 17th century, people were imagining trips to the Moon and encounters with lunar inhabitants who, Mr. Brunner tells us, “are hardly ever imagined as inferior, ill-natured or threatening.” Perhaps the most famous work in the genre is Jules Verne’s “From the Earth to the Moon,” which was published in Paris in 1865, and which accurately predicted not only that people from the United States would be the first to set foot on the Moon but also, among other details, that the craft carrying them would be launched from Florida, splash down in the Pacific and be rescued by the United States Navy. The NYT gets two points right: the book was published in Paris in 1865, Verne’s travelers did launch from Florida. We can allow them a third if we’re not too picky: The travelers were rescued by the Navy, not in “From the Earth to the Moon”, but in its sequel. However, they failed to land on the m0on. Congress find a new way to earmark that circumvents the earmark ban and is almost impossible for the public to track. POSTSCRIPT: The actual topic of the article is an astonishing fact: There is only one gun store in all of Mexico and it’s very hard to buy a gun there. Nevertheless, there’s plenty of gun crime in Mexico. Imagine that. Iowahawk has some good employment tips for people leaving Capitol Hill. At what point are the “rich” paying enough? Taxation is more progressive in the United States than any other leading economy. Saddam Hussein — whom the left says was an arch-secularist and would never, ever be involved in Islamic extremism — had a Koran written in his own blood. Over the last few months we’ve been noticing around here that our dishwasher doesn’t work as well as it used to. I assumed that it was simply wearing out (which would be annoying since it’s only a few years old). But it turns out that my dishwasher is innocent: Pennsylvania instituted a phosphate ban in July. Phosphate-free dishwashing detergent doesn’t work as well. It seems that phosphates are bad because they act as a fertilizer. Sewage treatment plants can’t get all of them out, so they end up in the water where they promote algae and aquatic vegetation. Too much algae and plants, environmentalists say, are bad for fish. This strikes me as an idiotic environmental tradeoff, entirely apart from the reduction in human quality of life. People aren’t going to accept dirty dishes; they are going to wash them again. So in order to cut back on algae, these bans are going to increase human water usage. You think algae is bad for fish, how do you think the fish will react to not having any water?! Okay, the coefficients of the tradeoff probably aren’t as bad as that for the fish, but many places have severe water shortages already. Imposing a rule that requires more water is idiocy, aside from being a pain in the posterior. UPDATE: Replaced a stale link. So the watchdog news outfit called PolitiFact has decided that its “lie of the year” is the phrase “a government takeover of health care.” Ordinarily, lies need verbs and we’d leave the media criticism to others, but the White House has decided that PolitiFact’s writ should be heard across the land and those words forever banished to describe ObamaCare. It’s a good (if petty) point that a sentence fragment can’t really be a lie. But we’ll set that aside because the important point is that Obamacare is a de facto government takeover of health care. I’ve noted that many times before (for example). What I want to note here is that the St. Petersburg Times seems to have made a major blunder. Their PolitiFact bit has been, all along, not about truth but about grading statements for ideological correctness from the liberal perspective, leavened with some straight-up fact checking to build credibility. Their strategy works only as long as they can maintain their credibility. So far they’ve managed to do so. Around the last election they had an entire piece on NPR in which they debunked a bunch of Republican “lies” (and I think one or two Democratic ones in order to maintain credibility). By making such a patently indefensible statement in such a high-profile way, I think the St. Petersburg Times has gone a bridge too far. People are now noticing that PolitiFact (which they also call their Truth-o-meter) is anything but a fact check. It is now going to be common knowledge on the right side of the political spectrum that PolitiFact is worthless and Republicans will have ready ammunition to refute PolitiFact’s future pronouncements. POSTSCRIPT: Reason is piling on as well, noting all the lies from the left that PolitiFact had to pass up. The Defense authorization bill passed this week bars the transfer of any prisoners from Guantanamo Bay to the United States. “As you can see, airport security is kind of a farce. It’s only smoke and mirrors so you people believe there is actually something going on here,” the pilot narrates. Video shot in the cockpit shows a medieval-looking rescue ax available on the flight deck after the pilots have gone through the metal detectors. “I would say a two-foot crash ax looks a lot more formidable than a box cutter,” the pilot remarked. I don’t know what the point of this is, other than for the TSA to inform all of us that it does not like being shown up by mere airline pilots. . . In a sane world, of course, higher-ups at the TSA, and at the Department of Homeland Security would be forced to answer for the huge security lapses documented in the pilot’s video. But we do not live in a sane world. Hugo Chavez is not a democrat. After failing to seize power by military coup 1992, he has seized power within the political system. Alas, the framers of Venezuela’s constitution lacked the foresight of a James Madison, and provided a means for Chavez to become a dictator within the system. History shows that such clauses usually get used eventually. Consequently, Chavez’s popularity has plummeted. In legislative elections, the opposition won a popular majority, but due to the way that Chavez has rigged the electoral system, they barely earned a third of the seats. Still, a third is enough to block Chavez from ruling by decree, and with Chavez’s approval ratings in the cellar, his re-election looks iffy (in a fair election). So it looks like this is the time for Chavez to hop off the democratic wagon. The new Venezuelan legislature doesn’t take office until January, and the lame duck legislature has given Chavez the power to rule by decree for 18 months. (The pretext for the move had something to do with a flood.) That will put Chavez in absolute control of the government until shortly before the next presidential election is scheduled. Media and Telecommunications. The modification of the Media Responsibility Law and the Telecommunications Law place severe restrictions on the Internet, centralizing access under the control of a government server. They re-categorize the airwaves as a “public good” and set in place harsh penalties for arcane and obtuse violations of the law. The laws require TV stations to re-apply for their licenses and for the owners to be in the country (a clear reference to Globovision, whose owner, Dr. Guillermo Zuloaga, is in political exile in the United States). Electoral Reform. The reform of the Political Party Law establishes the crime of electoral fraud. Fraud would be committed if a politician changed parties, voted against legislation that was “ideologically represented” by their “electoral offer” (on file when they registered their candidacy with the National Electoral Council), or if they make common cause with ideas or people who are not ideologically akin to their electoral offer. Sanctions are the expulsion from parliament and inability to run for public office for up to eight years. This law is meant to protect against individuals or political parties turning against Chavez, as happened with the opposition parties of PODEMOS (We Can) and PPT (Fatherland for All). Economy and Governance. Chavez is pushing through a block of five laws: Popular Power, Planning and Popular Power, Communes, Social Control, and the law of Development and Support of the Communal Economy. These laws establish the commune as the lowest level of Venezuelan economy and government. They set in place the Popular Power, which is responsible to the Revolutionary leadership (Chavez) for all governing (eliminating the municipalities and regional government’s constitutional mandate). To facilitate the creation of this new governance model, the Assembly is approving the Law of the System for Transferring the Responsibilities of the States and Municipalities to the Popular Power. ASIDE: The “electoral reform” that criminalizes legislators voting incorrectly is a marvelous idea. I expect we will see it adopted by tyrants everywhere. In addition, Chavez is taking control of the banks and universities. In short, Chavez is taking complete control of Venezuela from top to bottom. The next time he seeks to institute a police state, he won’t have to backtrack. The next election will be a farce. Nothing short of a revolution will evict him from office now. Sigh. In a competitive market there are two kinds of price caps: caps above the equilibrium price, which are irrelevant, and caps below the equilibrium price, which cause shortages. There are no exceptions. Ever. This is literally day one of any introductory economics class. I guess President Obama feels that just because it has never worked and fundamentally can’t is no reason not to try. In a move to protect consumers, the Obama administration said Tuesday that it would require health insurance companies to disclose and justify any rate increases of 10 percent or more next year. (Emphasis mine.) Price controls may have many effects, but the one thing they won’t do is protect consumers. The White House counterterrorism adviser acknowledged Wednesday that the reason the nation’s top intelligence official was stumped on an interview question two days ago about a major set of terror arrests in Great Britain was because his staff hadn’t told him about it. It doesn’t help that Brennan went on to defend Clapper’s ignorance on the matter. NAPOLITANO: Well, let’s — let’s be fair. It — I knew. John Brennan knew. We also knew there was no connect that had been perceived to anything going on in the homeland and that we were in perfect connectivity with our — our colleagues in Britain. So one of the things I think that should be very clear to the American people is that those of us in homeland security who needed to know, we knew. She was also convicted of property damage and resisting a public officer. The jury deadlocked on an arson charge. Sarah Palin is frequently quoted as saying “I can see Russia from my house.” I never heard her say that, so without knowing the context, I assumed that she was using hyperbole. Obviously you can’t see Russia from Wasilla or Juneau and no one is likely to be confused on that point. But, as it turns out, there is a reason I never heard Palin say it: she didn’t. The line is not from Palin, but from Tina Fey’s parody of Palin. Turning to how terror suspects are tried, Holder said he still believes the “decision as to how people get prosecuted, where they get prosecuted, is an executive branch function. Even if those suspects are being held now at Guantanamo Bay. Holder said Congress should not be interfering with that. “It’s — from my perspective — a constitutional issue,” he said. Those who attacked the unitary executive theory made it out to be something it never was: the idea that the president somehow holds the legislative and judicial powers as well. UPDATE: It’s not completely clear from the article, but it appears that Holder is alluding to Congress’s legislation barring the transfer of any prisoners from Guantanamo Bay to the United States. That’s interesting, because Holder is actually going beyond the real unitary executive theory to something close to its liberal parody: he is claiming for the executive branch powers that belong to the legislative branch. The processes of the criminal justice system and the Uniform Code of Military Justice (which include “where” and “how” people are prosecuted) are established by law — that is, by the legislative branch. But Holder seems to be claiming the authority to establish those processes for the executive branch. The Righthaven copyright trolls are diversifying from newspaper articles to images. One reason revenues are so low is that about one-quarter of the rich tax filers seem to have gone missing. The state expected 38,000 Oregonians to pay the higher tax, but only 28,000 did. Funny how that always happens. These numbers are in line with a Cascade Policy Institute study, based on interstate migration patterns, predicting that the tax surcharge would lead to 80,000 fewer wealthy tax filers in Oregon over the next decade. For those of us who are demographic buffs, Christmas came four days early when Census Bureau director Robert Groves announced on Tuesday the first results of the 2010 census. . .
Growth tends to be stronger where taxes are lower. Seven of the nine states that do not levy an income tax grew faster than the national average. The other two, South Dakota and New Hampshire, had the fastest growth in their regions, the Midwest and New England. The Berkman Center’s FCC- commissioned report, “Next Generation Connectivity,” wound up being funded in large part by the Ford and MacArthur foundations. So some of the same foundations that have spent years funding net neutrality advocacy research ended up funding the FCC-commissioned study that evaluated net neutrality research. The FCC’s “National Broadband Plan,” released last spring, included only five citations of respected think tanks such as the International Technology and Innovation Foundation or the Brookings Institution. But the report cited research from liberal groups such as Free Press, Public Knowledge, Pew and the New America Foundation more than 50 times. Chris Christie has freed Brian Aitken. Rasmussen finds that, for the first time, a majority of voters expect the health care nationalization act to be repealed. An even larger majority think that it should be. The Senate has passed the food regulation bill (that’s the one they passed before, but accidentally didn’t follow the Constitution) by unanimous consent. I seriously thought they wouldn’t start backsliding until the next Congress convened. But this is weird. Unanimous consent? Where was DeMint? Oh my. Julian Assange (the founder of WikiLeaks) is upset that sensitive government documents are leaking that make him look bad. If you google “Obamacare”, most of the top results point to web pages critical of it. That’s presumably why the federal government decided to spend taxpayers’ money to buy a sponsored link at the top of the page to direct people to a pro-Obamacare propaganda page. The Venezuelan lame-duck legislature has made Hugo Chavez a dictator once more, despite a majority voting against him in the last election. The new legislature is to be inaugurated January 5. The US Commission on Civil Rights’s report on the Black Panther scandal, blasting the Department of Justice, is here. This is only the beginning. The DOJ refused to allow its employees to testify before the commission, despite subpoenas. When Republicans take over the House of Representatives in January, they will doubtless begin a Congressional investigation. The DOJ won’t ignore Congressional subpoenas as easily. It looks as though Congress is going to repeal “Don’t ask, don’t tell.” Should they? Well, I think DADT is a good policy and the military is better off with it in place, but I also think it doesn’t matter much in the scheme of things. The basic problem is romantic relationships — real or imagined — between service members. Service members who form relationships with one another are prone to do stupid, dangerous things. When I was in training with the Army Reserve, I knew one male soldier who was infatuated with a female soldier. The relationship was entirely in his head, but that didn’t help the problem; it might have even made it worse. Once we were on a field training exercise, and we were manning the perimeter in anticipation of an enemy attack. This soldier thought he heard his would-be paramour screaming for help. (He didn’t, but it doesn’t matter.) He decided he needed to abandon his post to go find her and save her. The rest of us on that part of the perimeter were, shall we say, strongly against his plan. But he went ahead, leaving his zone unprotected. Shortly thereafter the OPFOR penetrated our lines and “killed” us all. My experience is not at all unusual. The lesson is that men and women should not mix on the front lines. As a practical matter, that means that women should not serve on the front lines, since an all-female combat unit doesn’t seem like a realistic option (outside of fiction). The problem posed by homosexuals is simultaneously harder and easier. Heterosexual relationships can be prevented by segregating men and women, but that won’t work for homosexuals. (The only way to handle the problem by segregation, to place at most one homosexual in each unit, is obviously not a workable arrangement.) However, while gender cannot be kept secret, sexual orientation can. Doing so gives us a workable arrangement that allows homosexuals to serve in the military. Indeed, this is the essence of “don’t ask, don’t tell”. That’s why DADT is a good policy. It allows gays and lesbians to serve in the military while limiting the problems caused by relations between them. That said, I don’t see this as a particularly important issue. The lion’s share of the problems come from heterosexual relationships; the homosexual contribution to the problem is miniscule. And, unfortunately, the heterosexual problem is going to get much worse, since the government seems determined to mix genders throughout the armed forces, even in front-line units. Next to that, any damage done by repealing DADT is insignificant. SpaceX has successfully tested its Falcon 9 rocket, the first privately designed spacecraft capable of carrying astronauts into orbit. It’s a two-stage rocket, which is a little less cool than Scaled Composites’s SpaceShip One that won the X-Prize, but SpaceShip One wasn’t able to reach orbit. This is the sort of story that you can’t read without becoming furious. A New Jersey man was sentenced to seven years in prison for nothing at all: a hyper-technical violation of New Jersey’s insane (and unconstitutional) gun laws of which he wasn’t even guilty. Fortunately, Gov. Chris Christie is considering a pardon. Michael Moore says it isn’t true, that his film was shown widely in Cuba, and he provides links that convince Outside the Beltway. (I haven’t bothered to click through myself.) Now, it wouldn’t be remotely unheard of for diplomats to be wrong, but there’s also no reason that both stories can’t be true. Cuba could have shown the film and then banned it after they saw the public’s reaction. That sort of propaganda miscalculation used to happen to the Soviets. They would screen anti-American films from the West and it would backfire: the audience would brush off whatever political malfeasance the film alleged and focus instead on all the great stuff Americans owned. The Soviet nomenklatura made this mistake easily; they weren’t denied cars, food, toilet paper, etc., so they would miss the material implications of the films. In the same way, the Cuban nomenklatura isn’t denied quality health care, so they could fail to anticipate how the public would react. UPDATE: Apparently stories of Cuba banning Sicko predate the date at which Moore claims the movie was shown. I don’t know what the truth is. It is pretty funny, though, to see Michael Moore’s indignation, given his strong support for WikiLeaks. “Don’t ask, don’t tell” is not “the military’s policy.” It is a federal law,10 U.S.C. Sec. 654. DADT was imposed on the military by Congress. This mistake is made by reporters frequently, but that does not excuse it. . .
As always, it is a mystery how such basic factual errors get past the presumed battery of editors that review articles and editorials in our leading newspapers. I think Mr. Hinderaker is being rhetorical, because the mystery is easily dispelled if you drop the assumption of fact-checking. A breathtaking photo gallery of China’s ghost towns. The classic ghost town is empty because its people moved away, but China’s ghost towns were erected by central planners and were never inhabited in the first place. The FDA is poised, for the first time, to withdraw its approval for a drug because it is too expensive. Is communism evil or merely foolish? Glenn Reynolds discusses. I was taught in public school that communism is a laudable idea that simply doesn’t work in practice. Certainly the latter part is true, and for a long time I never really thought about the former. I think that a lack of scrutiny is the way that notion manages to survive. Once you start thinking about it, it’s not hard to see that communism, even in its imaginary ideal form, is about slavery. The people, all of them, are enslaved to the worker’s state. (In practice, the people are enslaved to the nomenklatura, but we’re talking about the hypothetical perfect implementation here.) The moral question then is simple: is slavery evil, or can it be good under certain circumstances? Once you ask that question, we can readily dispense with the notion that communism would be good if only it worked. I’ve often noted the uselessness of the St. Petersburg Times’ PolitiFact, which they also call the Truth-o-Meter. The feature pretends to be an objective fact check, but it is anything but. In fact, they simply grade statements based on whether they agree with them. Not surprisingly, from a left-of-center publication, that means that statements from the right are rated false (even when they are actually true), and statements from the left are rated true (even when they are actually false). As previous national PolitiFact checks have shown, no matter how you look at it, the legislation cannot reasonably be considered a government takeover. The government will not take over hospitals or other privately-run health care businesses. Doctors will not become government employees, like in Britain. And the U.S. government intends to help people buy insurance from private insurance companies, not pay all the bills like the single-payer system in Canada. The government is merely going to dictate what policies they write, for whom, and at what price. The government will also dictate how much they pay out, require individuals to buy their services, and pay for much of the cost with taxpayer funds. Hooray for the triumph of free enterprise. In other words, we have a government takeover of health care, administered through private firms. According the to the St. Petersburg Times, the preceding sentence is a lie. It is not. It is, in fact, an opinion. Moreover, it is an opinion backed by a strong argument. The St. Petersburg Times is grading opinions based on whether they agree with them. If they are going to do that, they should drop the charade. They should admit that what they are doing is editorializing, not fact checking. They also might want to considering building their editorials around stronger arguments — without their fact-checking shtick they are left with a really flimsy case — but first things first. UPDATE: Karl at Hot Air has a similar take. Democrats have given up on the omnibus budget bill. This is great news; this bill was a disaster. The problem wasn’t so much the overspending and the earmarks (although those were bad), but the money appropriated to implement Obamacare. UPDATE: The Wall Street Journal is dancing on the budget’s grave. Well, yes. Gun-rights groups do aggressively challenge those statistics, because they aren’t true and the ATF knows it. The bogus 90% figure refers to guns that were successfully traced. As it turns out, traces are not even attempted for most Mexican crime guns, and most of the traces that are attempted are unsuccessful. When a trace is successful, it probably leads to the United States, because the US requires guns to have traceable markings and those markings are recorded whenever guns change hands legally. In other words, the 90% is meaningless, corresponding to the old story about looking for your keys under the lamppost because that’s where the light is. ASIDE: It is interesting that the Mexican authorities do not consider tracing guns to be a valuable tool (IG’s report on ATF’s Project Gunrunner, page 78) and rarely participate. One official called the effort “some kind of bad joke”. Thus, we can best understand the ATF’s efforts as a weapon against American gun dealers, not as a weapon against Mexican criminals. According to Bob Owens, William McMahon (deputy assistant director for field operations at the ATF) testified to Congress that the real number of Mexican crime guns originating from legal US sales is 8%. Eight percent! are consistent with figures that appear in McMahon’s testimony and the Project Gunrunner report. McMahon (on page 14) refers to 13,382 guns, and the DOJ IG (on page 117) refers to 13,481 estimated guns trafficked, so if the 100k figure is of the right order of magnitude (as surely it must be) then the number holds up, at least to a first approximation. Returning to the Post, since the 90% figure is bogus, it’s entirely appropriate for the ATF to stop peddling it. It’s a pity that it fell to the gun lobby to criticize them for their misinformation, rather than publications such as the Washington Post. POSTSCRIPT: The 90% is just an aside in the Post article. The topic of the article is that the Post has gained access to the ATF’s gun tracing statistics, which are required to be confidential by federal law. Anti-gun groups have wanted access to this information for years, but have failed to get the law changed. Nevertheless, as we have seen many times during this administration already, the Holder Justice Department feels no obligation to obey laws it doesn’t agree with. We don’t know who leaked the information to the Post (the Post surely won’t say), and it seems certain that any investigation will be desultory at best. Network neutrality on the ropes? A number of network neutrality advocates are coming out against the FCC chairman’s plan to impose network neutrality despite a court ruling forbidding it. I don’t understand it (the article doesn’t provide much detail), but I’m glad to see it. Australian scientists have found that increased carbon-dioxide levels can dramatically increase crop yields. It may also reduce crops’ need for water. Interesting. Columbia University has succeeded in stealing its neighbors’ land. Columbia employed a cynical plan in which they bought up adjacent land, allowed it to fall into disrepair, and then prevailed on the government to condemn the entire area as “blighted”. A court blocked the scheme but was overruled by the New York Supreme Court. The US Supreme Court will not review the case. Eminent domain is often sold as “the people vs. the powerful.” But in fact it’s property rights that protect the people from the powerful. UPDATE: Reynolds’s latest column is on the topic. The poll found that Obamacare has sunk to its lowest popularity yet. WALLACE: I understand. But [the Bill of Rights] certainly didn’t provide for a [gun] ban, at least that’s what the court’s decision was, your court’s — it didn’t provide for a ban on all handguns as they have here in Washington, D.C.
Of course, the hallmark of the left is inconsistency, so we probably don’t have to worry about this jurisprudence being applied to the First or Fourth amendments. There’s something special about Sarah Palin. Something about her inspires such hatred in the media that they behave very badly. In the latest instance, Palin was visiting Haiti as part of a mission run by Franklin Graham’s NGO Samaritan’s Purse. Palin was accompanied by her husband Todd and her daughter Bristol. Former Alaska Gov. Sarah Palin, center, has her hair done during a visit to a cholera treatment center set up by the NGO Samaritan’s Purse in Cabaret, Haiti, Saturday Dec. 11, 2010.
implying that Palin had brought a hair dresser on her trip to a Haitian cholera clinic. Once that story went out, the usual outrage circus wasn’t far behind. The AP eventually corrected its story, saying it hadn’t been “immediately clear” that the person was Bristol. But that doesn’t really absolve them. They had a story they liked and ran with it. Why risk ruining it by finding out the facts? Sadly, we know how this plays out. The lie is halfway around the world, and hardly anyone will ever see the correction. The notion that Palin brings hair dressers to cholera clinics will be part of the folklore, and that folklore can never be stamped out. To this day, many people still believe that George Bush (Sr.) was amazed by a checkout scanner, or that George W. Bush waved around plastic turkeys in Iraq while our servicemen went hungry. UPDATE: Meanwhile, public support for Obamacare hits a new low in the ABC News/Washington Post poll. One of the fascinating things about watching Sarah Palin is how her opponents, by assuming Palin is stupid, expose themselves as ignorant fools. We’ve seen this several times recently, on topics as varied as the date of the Boston Tea Party and the doctrine of fair use. Indeed it goes back to the presidential campaign, when the AP misunderstood the Air-Defense Identification Zone. In the latest instance, MSNBC commentator Richard Wolffe mocked Palin for saying that she draws divine inspiration from the works of CS Lewis, who he says is merely the author of a series of children’s books. As anyone even fractionally educated in Christian apologetics knows, CS Lewis wrote many books beyond The Chronicles of Narnia. I included three of them on my list of the ten books that influenced my thinking the most. The Screwtape Letters, in particular, is probably his most famous work. I suppose assuming your opponents are stupid can save you time and effort, if you’re right. If you’re wrong, you look like an idiot. UPDATE (12/21): Apparently Joy Behar made the same mistake. Ignorance from Behar isn’t so surprising though. This is a big deal; if the individual mandate is found unconstitutional, the whole Obamacare edifice comes down with it. That’s unless they change their legal theory, which does not seem beyond the realm of possibility, but even if they do, they’ve made their case harder. Jim Pasco, executive director of the national Fraternal Order of Police, says he sees no problem with arresting people who photograph or record on-duty cops. Pasco says his main concern is that activists will tamper with videos or use clips out of context to make police officers look bad. . .
Pasco, the head of the Fraternal Order of Police, says cases where video contradicts police testimony are rare. “You have 960,000 police officers in this country and millions of contacts between those officers and citizens,” he says. “I’ll bet you can’t name 10 incidents where a citizen video has shown a police officer to have lied on a police report.” . . . Put some faith and trust in our authority figures? Hell no. And this sort of attitude just makes that trust even less likely. This is not the first time a police camera in Prince George’s County has malfunctioned at a critical time. In 2007 Andrea McCarren, an investigative reporter for the D.C. TV station WJLA, was pulled over by seven Prince George’s County police cars as she and a cameraman followed a county official in pursuit of a story about misuse of public funds. In a subsequent lawsuit, McCarren claimed police roughed her up during the stop, causing a dislocated shoulder and torn rotator cuff. McCarren won a settlement, but she was never able to obtain video of the incident. Prince George’s County officials say all seven dashboard cameras in the police cruisers coincidentally malfunctioned. All seven dashboard cameras coincidentally malfunctioned?! That’s just insulting. Michael Yon has posted a frightening presentation on the dangers of geotagging. The presentation is from the Army, but the risks apply to anyone with enemies. When a state refuses “stimulus” funding, the federal government just reallocates that money to another state. It’s disgusting to watch what’s going on in London right now: privileged kids rioting because their share of the public trough is being diminished. It’s particularly disgusting when you consider that the enrollment caps that are the inevitable consequence of the government subsidy are preventing countless of these students’ peers from receiving the benefits of higher education at any price. These brats want to deny an education to others, to avoid paying the cost of their own education. Here’s an interesting fact in should-we-hike-taxes-on-the-“rich” debate: 70% of American manufacturing concerns are taxed as individuals. A tax hike on the “rich” means a tax hike on manufacturing investment; less investment means lower productivity; lower productivity means fewer high-paying jobs. House Democrats slipped a provision into their stopgap spending bill that would make it much easier for Indian tribes to operate casinos. That’s the system that Medicare and Medicaid should be modeled after, according to the man who runs Medicare and Medicaid. Abolishing the secret ballot in union certification votes has been a bridge too far even for the Democratic Congress. But the National Labor Relations Board has gone ahead and done it by itself. A new decision from the NLRB allows unions to dispense with the secret ballot if the employer agrees. The decision makes a mockery of the idea that certification votes protect the rights of the workers. Now an employer can allow a non-secret ballot (at the associated intimidation by union organizers) in exchange for (temporary) union concessions, and the workers — who this is supposedly all about — have no protection. Instead, it’s merely a re-hash of the sort of sweetheart company-union labor deals that have marred the reputation of trade unionism throughout history. It has involved trading away workers’ free-speech rights, selling out their ability to improve working conditions, and relinquishing their capability to improve pay and benefits, in order to expand the SEIU’s and Stern’s own power. The United States ultimately decided not to comply with an Israeli request to put its offer in writing, including $3 billion worth of jet fighters, a commitment to object to anti-Israel resolutions in international organizations, and an agreement never again to ask for a suspension of settlement construction. The deal was no secret, obviously, so there’s really only one reason why the administration would refuse to put it in writing. 1199SEIU was a big supporter of Obamacare. When someone refers to “the Zionists”, it’s not hard to tell whether they are using the term (1) to refer to persons who support a Jewish homeland in Eretz Israel, or (2) as code for Jews. Obviously, Thomas is using the term in the second fashion, since she is spouting a standard anti-Semitic slander. Striking a defiant tone, journalist Helen Thomas, 90, said today she absolutely stands by her controversial comments about Israel made earlier this year that led to her resignation. . .
POSTSCRIPT: Also note that Thomas got a standing ovation from the Arab Detroit workshop on anti-Arab bias. It occurs to me that applauding anti-Semites might not be helping on the anti-Arab bias front. Yep, he really said that. This guy really has no idea how a president is supposed to behave, does he? POSTSCRIPT: Last week Sen. Bob Menendez (D-NJ) called Republicans terrorists. Could this be a deliberate meme? UPDATE: Frank Lautenberg (D-NJ) says “a ransom was paid”. I guess this really is the Democratic line. I trust you will not be surprised to learn that Al Sharpton does not believe in free speech. Are the TSA’s much-reviled body scanners safe? Some scientists aren’t sure. They say that existing analyses, which were designed for X-ray machines, aren’t appropriate to body scanners. X-ray machines distribute their radiation throughout the body, but body scanners apply it all to the skin, resulting in a much higher exposure than an X-ray-based analysis would suggest. The FDA asserts that its method is correct. “This is how we measure the output of X-ray machines and how we’ve done it for the past 50 years,” says [FDA spokeswoman Kelly] Classic. “We’ve always done it this way” is not a scientific rebuttal. Some thoughts from Aaron Worthing. My thoughts from earlier this year are here. We certainly hope that is not the case. In fact, “Fair Game,” based on books by Mr. Wilson and his wife, is full of distortions – not to mention outright inventions. . .
Hollywood has a habit of making movies about historical events without regard for the truth; “Fair Game” is just one more example. But the film’s reception illustrates a more troubling trend of political debates in Washington in which established facts are willfully ignored. Mr. Wilson claimed that he had proved that Mr. Bush deliberately twisted the truth about Iraq, and he was eagerly embraced by those who insist the former president lied the country into a war. Though it was long ago established that Mr. Wilson himself was not telling the truth – not about his mission to Niger and not about his wife – the myth endures. We’ll join the former president in hoping that future historians get it right. In reaching 392,862 deportations, U.S. Immigration and Customs Enforcement included more than 19,000 immigrants who had exited the previous fiscal year, according to agency statistics. ICE also ran a Mexican repatriation program five weeks longer than ever before, allowing the agency to count at least 6,500 exits that, without the program, would normally have been tallied by the U.S. Border Patrol. When ICE officials realized in the final weeks of the fiscal year, which ended Sept. 30, that the agency still was in jeopardy of falling short of last year’s mark, it scrambled to reach the goal. Officials quietly directed immigration officers to bypass backlogged immigration courts and time-consuming deportation hearings whenever possible, internal e-mails and interviews show. Instead, officials told immigration officers to encourage eligible foreign nationals to accept a quick pass to their countries without a negative mark on their immigration record, ICE employees said. . . A voluntary return doesn’t bar a foreigner from applying for legal residence or traveling to the United States in the future. . . The surge to break the deportation record in the final weeks of the fiscal year consumed the agency, said a high-ranking immigration official, who spoke on the condition of anonymity because the person wasn’t authorized to discuss the matter publicly. In summary, the ICE’s record number of deportations was in part due to creative accounting, and in part due to weakened enforcement. But at a news conference Oct. 6, ICE Director John T. Morton said that no unusual practices were used to break the previous year’s mark. As anyone following the Pittsburgh boondoggle knows, the project is $117.8 million over budget (so far), and was rated the nation’s third-worst waste of stimulus funds. That explanation appears at the very end of the article. The Times believes that the documents serve an important public interest, illuminating the goals, successes, compromises and frustrations of American diplomacy in a way that other accounts cannot match. It all depends on whose ox is getting gored, I see. When the documents damage the credibility of global warming, their provenance is all-important. But, when the documents damage our national security, it’s all about the public’s right to know. In the last couple of days, some conservative commentators have compared the treatment of the East Anglia climate files in this post with the dissemination of Wikileaks files by The Times and charged that a gross double standard exists. But I’m not sure why they bothered with the update. They go on to make two remarks (which I assume to be true, as I can’t be bothered to verify them), neither of which rebut the double-standard charge. After years of development, the U.S. Army has unleashed a new weapon in Afghanistan — the XM25 Counter Defilade Target Engagement System, a high-tech rifle that can be programmed so that its 25-mm. ammunition detonates either in front of or behind a target, meaning it can be fired just above a wall before it explodes and kills the enemy. . .
[Lt. Colonel Christopher] Lehner said the first XM25s were distributed to combat units in Afghanistan this month. The 12-pound, 29-inch system, which was designed by Minnesota’s Alliant Techsystems, costs up to $35,000 per unit and, while highly sophisticated, is so easy to use that soldiers become proficient within minutes. I first saw this weapon in the video game Ghost Recon 2. Good to see it’s finally become a reality. Wired reports that federal agencies have been using credit card systems and other electronic systems to track the movements and activities of Americans in real-time, without obtaining warrants. A few years ago, the press was outraged because we were eavesdropping on foreign terrorists who occasionally spoke to Americans. This is something entirely different. Here, agencies are tracking the movements of Americans on US soil. But, with a Democratic president in charge, I expect the press’s reaction to be muted, if there is any at all. A new Judicial Watch investigation has found that President Obama spent millions of taxpayer dollars on a “misleading” propaganda campaign to help foster public support for his extremely unpopular “health care reform” law, also known as Obamacare. Using the Freedom of Information Act, our investigators obtained documents from the Obama Department of Health and Human Services (HHS) regarding a series of three Medicare television advertisements featuring actor Andy Griffith, which were deemed misleading by a number of press outlets, including the nonpartisan (but left-of-center)FactCheck.org. A growing flap — and concerns — over President Obama’s personal safety and security in the Afghan war zone tonight, given that some American news outlets reported he was there nearly a half-hour before Air Force One actually landed. The concern is not just factual. Thus alerted, an enemy with a shoulder-fired missile near Bagram Air Base outside Kabul could have fired on the president’s plane or its decoys. . . According to news pool reports from Air Force One, already White House officials are investigating how the news embargo was dangerously broken first by ABC News and then CNN and MSNBC. According to Bush, he and national security adviser Condi Rice were hidden in the backseat of a Secret Service car leaving the president’s Texas ranch late one evening. The long overnight voyage was kept so secret that even a detachment of Secret Service agents at the ranch was unaware until the next day that the commander-in-chief had been spirited halfway around the world by conspiring security colleagues. Such, obviously, was not the case Friday. I seem to recall the press at the time being outraged at being kept in the dark. 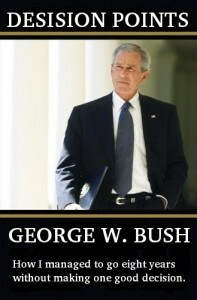 (Of course, when it came to Bush, they tended to be outraged by anything.) This incident proves the wisdom of keeping the press in the dark. Why the change now, I wonder. Is this Obama’s predilection to reverse all things Bush, or just general foolishness? UPDATE: Fox News was the only network to observe the embargo, which is something to keep in mind the next time the left accuses Fox of fomenting violence against the president. President Obama has asked for the authority to shift spending from one part of the budget to another. It’s quite obvious why the he wants such authority. Why Congress would want to grant it is quite another question. Such authority would clearly be an unconstitutional delegation of legislative power, but who knows if that means anything any more. The point is: religions are sacred. Otherwise they wouldn’t be called religions. They would be called systems of metaphysical ideas that can be discussed, criticized, and even ridiculed by free people with free minds. And we wouldn’t want that. . .
Who is regularly accused of using extremist political language? Republicans of course. Who actually does it? Democrats, such as Senator Bob Menendez (D-NJ) who says that negotiating with Republicans is like negotiating with terrorists. The ban served no conceivable legitimate purpose, it was just a way to inconvenience gun owners. The anti-gun crowd looks ridiculous trying to argue otherwise. For the first time in as long as I recall, more Americans now identify as Republicans than as Democrats. An ACORN affiliate in New Orleans was improperly awarded a fire safety and prevention grant worth nearly a half-million dollars, according to a new report from the Department of Homeland Security’s inspector general. . . In the findings, obtained by FoxNews.com, the inspector general’s office said that FEMA went against the advice of an evaluation panel to hand out the $450,484 grant to the ACORN Institute in New Orleans. From there, not all of the money could be tracked. . .
FEMA reduced the grant request from its original $1 million. But the report said the institute could not provide documentation to support how it spent nearly $161,000 of the money it did receive. Lots of blame to go around here: ACORN for committing the fraud, of course, and FEMA for letting them do it after being warned. The Obama administration, despite public denials, held secret talks with Russia aimed at reaching a ballistic missile defense agreement that Moscow ultimately rejected in May, according to an internal State Department report. . . The four-page document circulated on Capitol Hill stated that administration officials held four meetings with the Russians and last spring presented a draft Ballistic Missile Defense Cooperation Agreement (BMDCA) to Russian negotiators. The internal report contradicts congressional testimony by Secretary of State Hillary Rodham Clinton and Defense Secretary Robert M. Gates in June denying a missile defense deal was in the works. The content of the latest Wikileaks treason dump is mostly unsurprising. The main damage will be done not by the content of the document dump, but by world leaders’ unwillingness to speak frankly in the future since they know we cannot keep a secret. During its 2006 war with Israel, Hezbollah smuggled weapons in ambulances marked by the Red Crescent. When President Obama said he needed concessions from Israel to get Arab states to agree to action against Iran’s nuclear program, that was a lie. The Arab states wanted Iran stopped, and Israel had nothing to do with it. You are currently browsing the Internet Scofflaw blog archives for December, 2010.